This letter shares some particulars about the Salesian Monastery for those considering entering monastic life. Peace be with you! 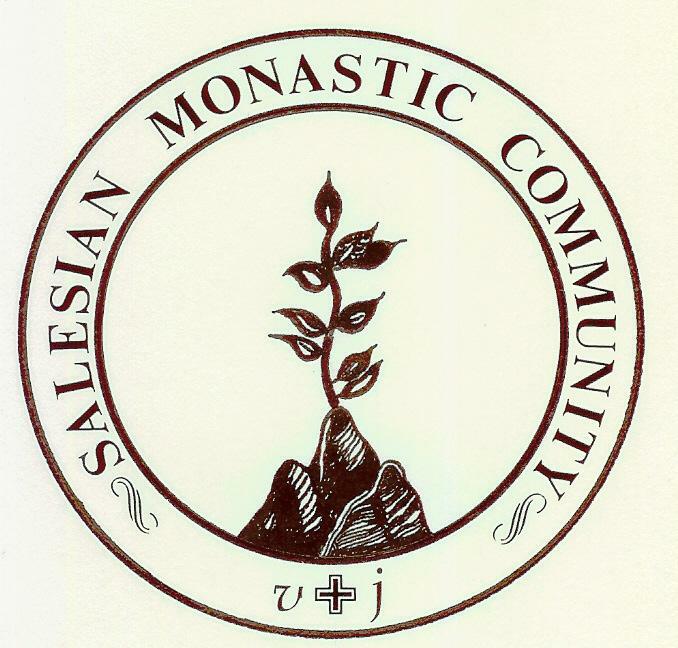 Thank you for your recent request for information concerning the Salesian Monastic Community (SMC). Our monastery was officially founded on May 1, 1987, after much preparation, prayer, and consultation. People live the Salesian life (the spirituality of St. Francis de Sales and St. Jane de Chantal) as lay-persons, priests, deacons, Sisters, Religious Brothers, and monastic women (the Visitation nuns). Until our community began, there were no Salesian monks. Our professed members may perform half-time external ministry of a wide variety (consistent with the gifts of the individual monk/nun) along with a guest house ministry within the monastery. Joyful silence, Liturgy of the Hours, recreation, and the other ingredients of monastic life are also a part of life. In short, we are not as cloistered as the Trappists, and not as active as an apostolic community. The emphasis here is on a simple monastic life. If an applicant is already a priest, then that is one of the gifts he brings to the community. Such is the case with the gifts, talents, and potential, of other applicants as well. No job is too humble or too lofty in God's house. Ordination is not the norm; monastic profession expresses the fullness of the Salesian monastic life. The monastery is located on 1-1/3 acres of land in the Pocono mountains. The property is mortgaged. We are in the country where it is pretty and usually fairly quiet. The area is developing, as is the community and its ministry, so it would be good to move to a larger property but we do not have the resources. We are happy here and are open to whatever the future holds. The founder was a Religious Brother in the Oblates of St. Francis de Sales for over 27 years, but felt called to a monastic expression of Salesian life. After a three year trial period, he was given an Indult of Departure from Oblates by the Vatican. Having been welcomed by the former Bishop of Scranton, Brother Bernard now lives as a Salesian monk with private perpetual monastic vows. The community is a PA non-profit corporation recognized by both state and federal governments. The Rule provides for monks, nuns, and men and women associate members from all walks of life. If you are considering monastic life or are interested in taking a closer look, feel free to write/call with specific questions. If you would like to come to the monastery for a visit, please write a letter commenting on: 1) what you think monastic life could offer you and vice versa; 2) your general physical and emotional health; 3) things you would like to do in ministry, e.g., cooking, teaching, retreat work; 4) if you are a licensed driver or not; 5) your education and life experience; 6) past and present marital status; and 7) past religious life/seminary experience. A letter from your spiritual director or pastor is also needed. No financial offering is expected from those coming to visit. Room and board are provided when a person enters the community, but one is expected to take care of his/her personal financial needs (which would ordinarily be quite modest) until simple profession and to do some form of part time work/ministry outside the community to help cover expenses long term. A person needs to be free of outstanding debts or other obligations prior to entrance. People interested in spending some time as a guest at the monastery who are not necessarily considering monastic life need only have a letter of reference sent, e. g., from a pastor or spiritual director. We are grateful for any donation but none is necessary. We find that many guests ask for a guideline in this area and we tell them that some retreat houses suggest thirty-five dollars per night. The community consists of a solemnly professed monk who is the abbot, and a solemnly professed nun. A solemnly professed monk passed to New Life in 2005. (We take private monastic vows of stability, conversion of life, and obedience--these include poverty and chastity.) Many people write/call for information. Some are in a discernment process concerning their vocations. Guests are here for retreat much of the time. May God continue to guide you.